Unfortunately in a lot of cases it’s a lot more subtle than that. 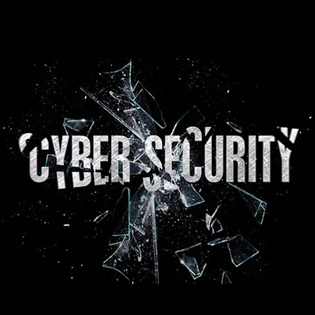 While some hackers, specifically those that utilize ransomware attacks, want to make it obvious from the outset that they have access to your network, most want to remain undetected for as long as possible. In December 2017, the University of Virginia Health System discovered that a hacker had breached them 19 months prior. That’s right: for over a year and a half a hacker was lurking in their network, able to access medical records and patient information the entire time. Hackers can be very sneaky when they want to be, but there are a few telltale signs you can look out for to know you’re being breached. Unexplained Browser Toolbars – If you open up a web browser, like Google Chrome or Mozilla Firefox, and notice some new search toolbars you don’t remember installing which have logos you don’t recognize, it’s because you didn’t install them. These toolbars are set up by the hacker to redirect you to usually a bogus website that will infect your computer with malware, or to a website that someone else paid them to get clicks for. If you notice any of these weird toolbars on your browser, immediately remove them and update your security software and firewalls. Odd Invitations on Social Media and Email – Once a hacker gains access to one computer, they want to spread to as many as they can. The easiest way to do this is through someone’s social media and email accounts. If you notice that any of your accounts have sent messages or invitations with sketchy links to your contact list, immediately change your password and notify your contact list that you think you’ve been hacked. For an extra, and we personally believe necessary, layer of security, install two-factor authentication for your social media and email accounts. This means that when someone tries to log into one of your accounts from a device that account isn’t used to seeing, like your home computer, it will send a code to a second device, usually your phone, which will have to be entered before allowing access. With two-factor authentication, a hacker would either need to physically have your home computer or your phone (and phone password) to hack into your account. Anti-virus Software Disabled – This one is sneaky because people don’t often check the status of their anti-virus software or firewalls very often. An unsuspecting victim might only notice this after realizing that they hadn’t been prompted for an update or patch in a long time. If you ever notice your computer acting strange or if something happened that might result in a data breach – like you lost your laptop or your email service announced they were themselves hacked – quickly check your anti-virus systems to make sure they are still functioning. Also take the opportunity to make sure everything is updated, and run a scan every once in a while. If you find that your software has been disabled, turn off your computer and contact a managed service provider that can help you with the next steps. To learn about how cloud technology and TOSS C3 can help prevent any attempted breaches and quickly restore your systems in case of a disaster, read about us here and call us anytime at 1-888-884-8677!